Best Time and Attendance System for Small Businesses: Harmony cloud software offers everything small and medium businesses are looking for in a time and attendance system. The Harmony cloud-based system comes with the basic attendance modules and many other modules and features. 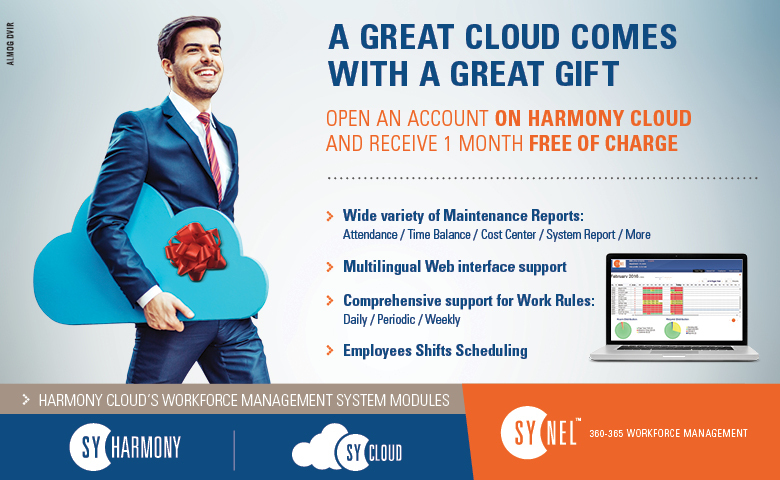 Using Harmony cloud the employees may report attendance clock in and out by using Synel’s Synergy terminal that connect to the internet line or using the cloud service and even by using their own mobile. Harmony Cloud may also manage Projects and cost centers time reporting, generates employee working time schedules, manage meals coupons and export the monthly total working, overtime and absence hours. Harmony Cloud integrates with a wide range of payroll services. The system is easy-to-use and run as an online service. review the Harmony cloud time and attendance system.